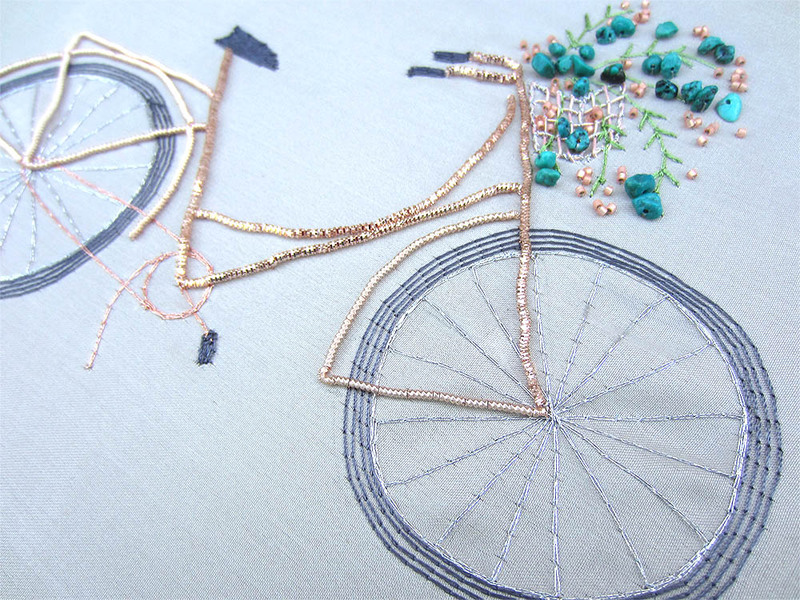 Bike with Flower Basket: tambour hook, couched bullion wire, beading. 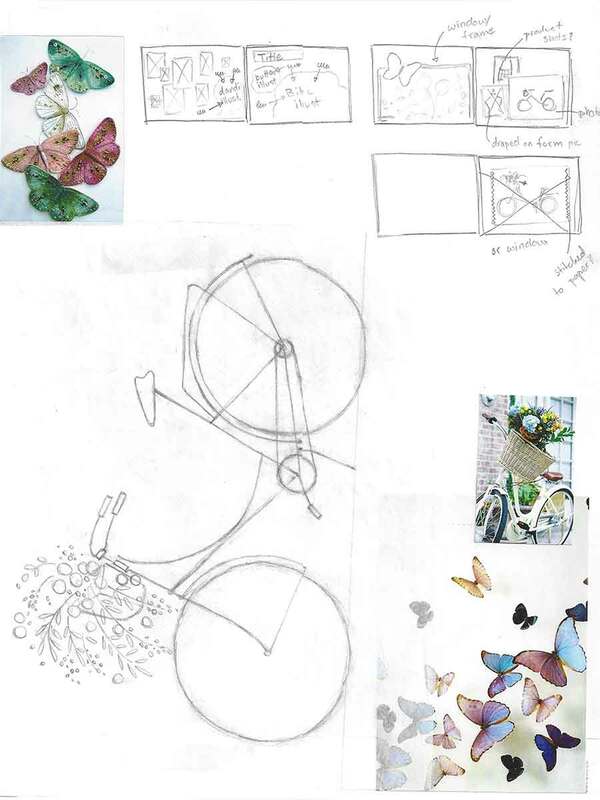 Bike pattern and mood images. 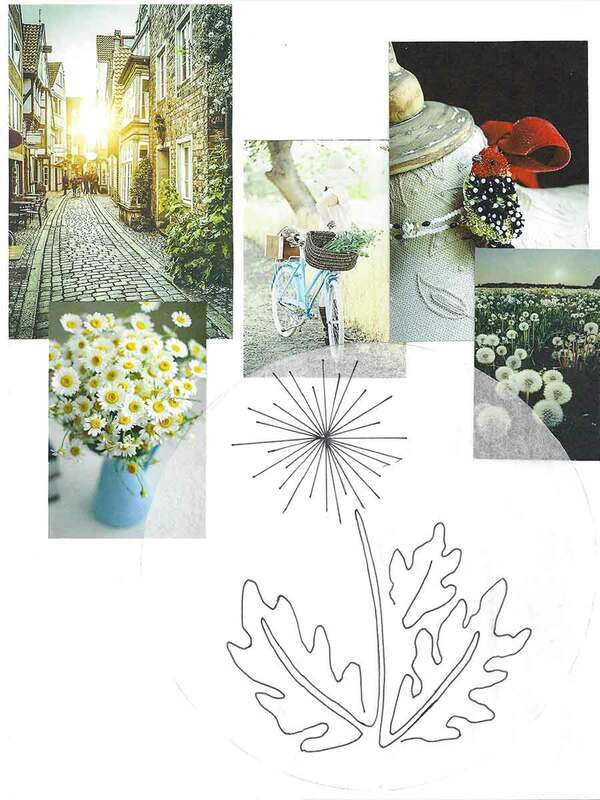 Dandelion pattern and mood images. 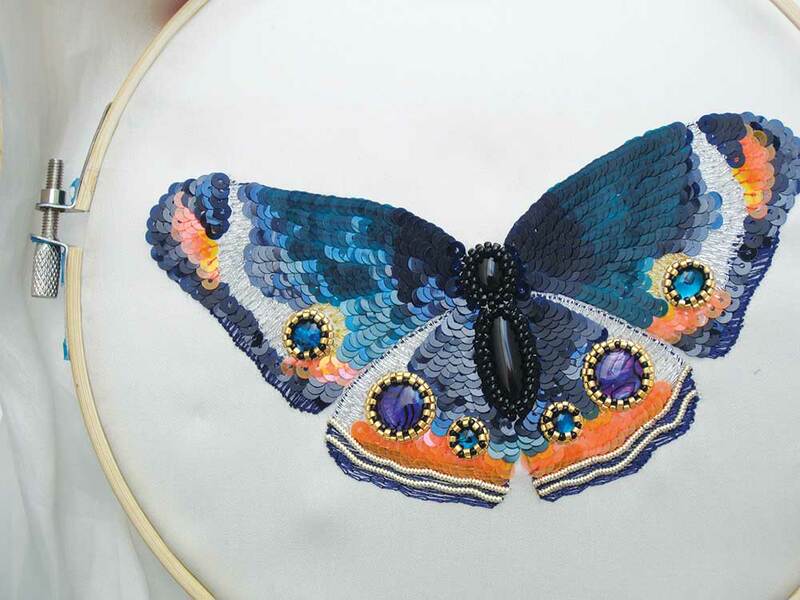 Butterfly pattern and mood images. 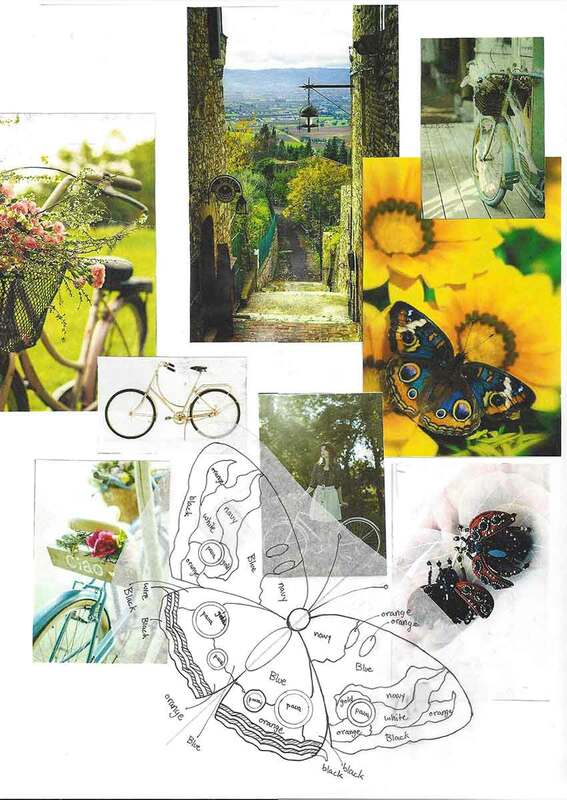 Scenic bike rides, wild flowers, and the countryside inspired this surface design collection. I imagine the designs being used in a variety of applications, from apparel to accessories. 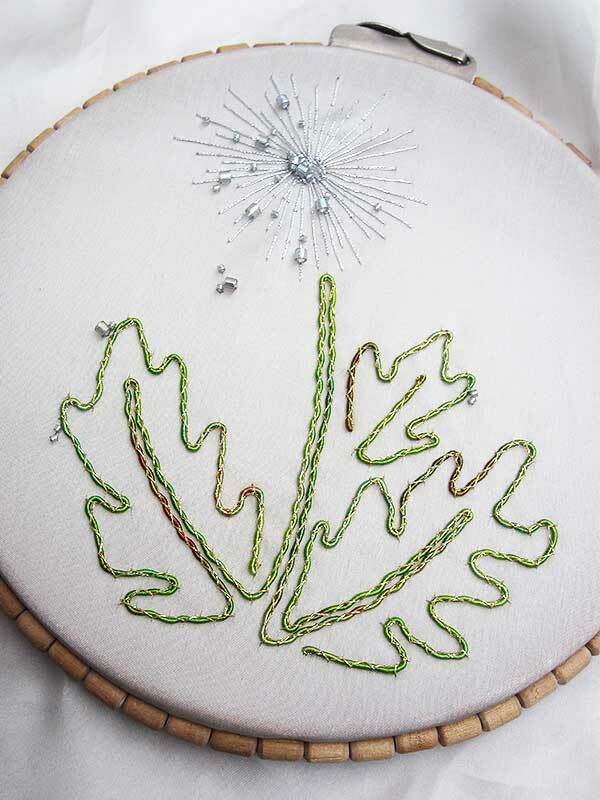 Designs such as this could be made into a repeat for a structured dress or skirt, used on coat pockets, or on shirt collars. This butterfly could be incorporated into a larger design or be a stand-alone piece such as a hair pin. More delicate designs might find a home on formal attire such as a jacket, skirt, or a dress.